According to two sources familiar with his pick, CNN reports that Trump could offer Nauert the post as soon as this week. 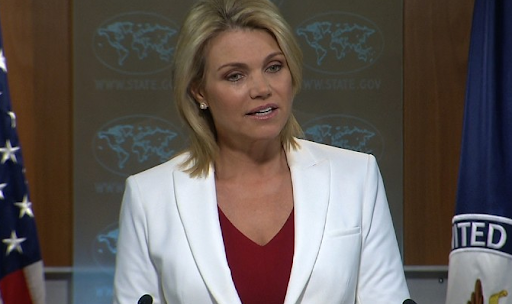 Notably, Nauert has been keeping a low profile this week after meeting with Trump on Monday. Two of her daily briefings have been conducted by her deputy. Aside from former deputy national security adviser Dina Powell, who withdrew from consideration early in the process, Trump has eyed several people to replace Haley, including Ric Grennell, the US ambassador to Germany; Jamie McCourt, the US envoy in Paris; and Kelly Craft, the ambassador in Canada. Trump has repeatedly told aides he wanted a woman to fill the role. Still, as a diplomat she lacks experience.